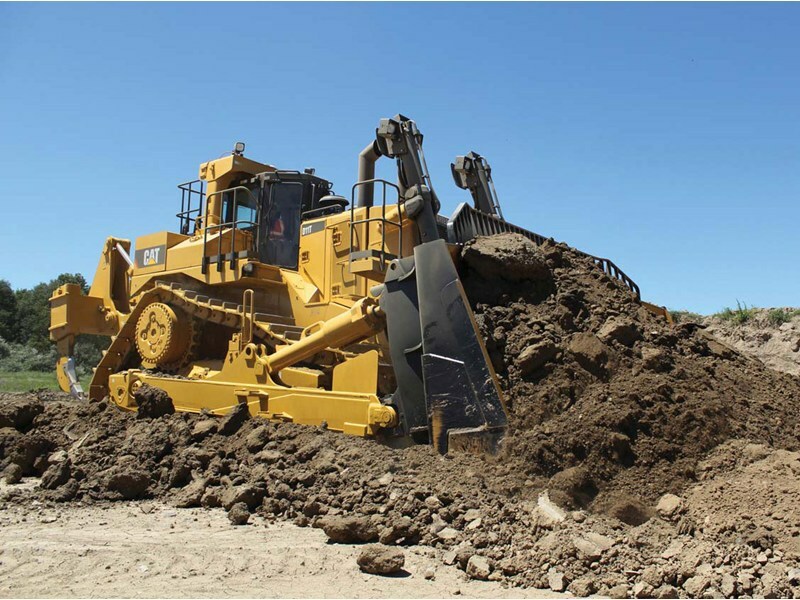 With up-time and reliability key to business operations, equipment manufacturers and operators need ruggedised display hardware capable of performing in the harshest environments whilst providing accurate & essential information keeping equipment operating around the clock. 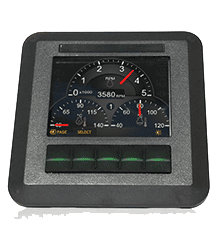 Our CAN range of CAN bus displays are well suited for use with construction machinery, off-highway vehicles, mining equipment, agricultural & heavy plant machinery. 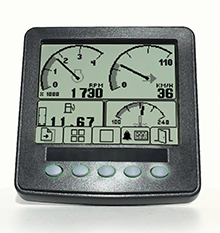 With custom software supporting industrial standards and IoT telematics features CAN displays are the ideal HMI solution for control and monitoring functions within trucks, sprayers, excavators, and loaders to name but a few. 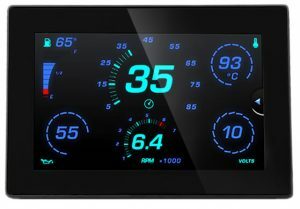 With larger screen sizes up to 7″, modern usability standards can be incorporated into the HMI design making powerful and efficient operator interfaces. Add to that Telematics functionality and that same information can be relayed to maintenance and scheduling teams globally. Our CAN displays are capable of reading J1939, NMEA 2000, CANopen protocols and can be developed for proprietary systems. 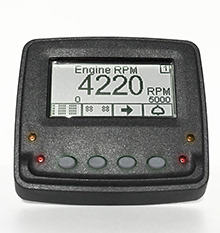 Cummins Tier 4 Final approved ‘off the shelf’ J1939 engine monitoring software is available as a standard option, however as most customers require a bespoke application an SDK is available for software self-build, or our inhouse engineering team can develop to your specification. Projects supporting Tier 4, Stage V and Reverse Camera requirements are within capabilities. 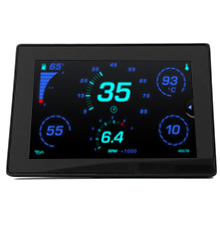 Being IP66 & 67 rated, operating in temperatures down to -40°C up to +70°C and fully daylight readable, the displays are suitable for installation both inside and outside the operator cabins. 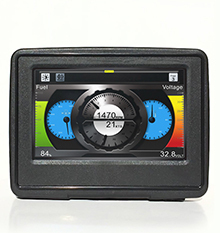 The CAN display range has screen sizes from 2.3″ up to 7″, button & touch screen options, and support external CAN bus keypads, joysticks and rotary encoders. 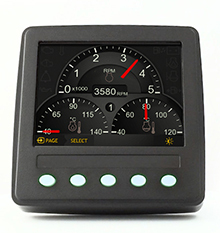 With equipment in the field, getting real time information such as low fuel levels, or altering to signs of operator misuse can be critical. Depending on your requirements our displays can log to the millisecond all data or just the most critical/event/alarm based data, transmitting that log through an internet connection to a cloud based server. This data can be used in its raw format with a simple CSV download mechanism or integrate into a full web interface portal with email or text alert triggering. 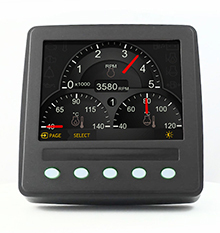 CAN displays are used by OEM’s including Engine Manufacturers across the globe. 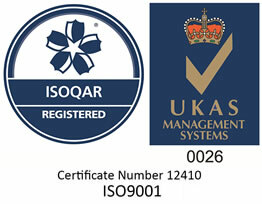 For more technical information, or to discuss your project requirements please get in touch.